Mani Ratnam and Suhasini adopted Surya Nagar of Kotturpuram, Chennai. 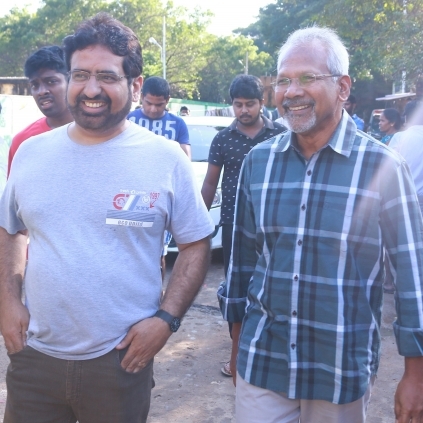 In an attempt to help the government which is striving to provide relief to the affected people following the Chennai floods, director Mani Ratnam along with his wife Suhasini have adopted “Surya Nagar” of Kotturpuram area under their organisation “Naam”. They have distributed relief kits to the area and are looking at measures to organise medical camps and revive the livelihood of the inhabitants of that area. This plan is highly appreciable as the need of the hour is not immediate relief anymore but rehabilitation, and the star couple has started on with the much-needed mission. Mani Ratnam's OK Kanmani To Be Remade In Hindi. Mani Ratnam's Next Film To Release In Summer 2016. Ravi Varman Will Be Mani Ratnam's Next Cinematographer For His Upcoming Film. Are Karthi, Shruti Haasan And Dulquer Going To Be In Mani Ratnam's Next? Dhanush's Big Help During The Chennai Floods. People looking for online information on Chennai floods, Mani Ratnam, Suhasini will find this news story useful.